When Paul talks about US he refers to both jews and gentiles who believe in Jesus Christ. Paul puts a lot of emphasis on trying to get the jews to understand that they are not on the way to heaven just because they are born jews and are his chosen people. It’s through JESUS that we can be saved. It’s through his blood because only his precious blood can cleanse our sins. What God had decided from eternity past is NOT which individuals to provide faith and eventually save, but rather that whoever is IN HIM (”us” v. 4) are ELECT, and chosen to be holy and blameless before God thanks to the blood of Jesus! The condition is therefore that we must be IN HIM in order to reach the state where we have all the mentioned wonderful promises tied to us. What is foreknown is that those who are IN HIM will through Jesus Christ be taken up as his holy children. Those who are not IN HIM are not forgiven for their sins and redeemed in his blood, resulting in that they are lost. We as believers have redemption through his blood, and that means we are on the safe side. We are therefore adopted as children and can expect an inheritance, but only as long as we’re not getting off the transportation going to heaven. (Let’s not forget that a son can be disinherited though.) Who is Paul addressing when he mentions all the wonderful promises? The saints. To the faithful in Jesus Christ. No one forced them to be saints and faithful, but they chose to be this by themselves. As such, the wonderful promises that Paul talks about, are theirs, provided of course that they continue on that path. V. 5 below uses the word ”adoption” but this word didn’t mean exactly the same thing 2000 years ago as it does today in our modern world. The Greek word ”huiothesia” refers to the standing of someone who is ALREADY a son and Adoption is thus the inheritance or promise that the son can expect to receive as an heir. Huiothesia is not the same as salvation but it is the promise of God received by those who are believers in Christ Jesus (Gal 3:22-27). The body of Christ is predestined to God’s kingdom and to receive the inheritance, and the question remains who would like to join and who will remain to the end. The body of Christ is heading there, but are YOU? Join the body-of-Christ-bus, but stay on the bus to the end station! The Holy Spirit is like a deposit for us christians (and all the spiritual gifts will one day pass away when we enter God’s kingdom), but just like in all legal contracts our particular ”contract” with God can be broken (just like the old covenant was broken) if either of the party doesn’t follow the agreement. If you take a loan to buy a car and stop paying for this loan, the car will be seized despite that it was once in your possession. It’s also beneficial to keep your ”guarantee receipt” because it entitles you (if it hasn’t expired) to certain rights, but if you throw it away or if you lose it, then it won’t do you much good despite all the promises that are listed on it. Having the Holy Spirit is often likened with being ”sealed”. This doesn’t mean anything unbreakable as shown here, but it means that we are ”marked” as very special and holy people who can expect a great inheritance. (As long as we remain in Christ of course.) We are separate from all others who do not have this seal, due to their refusal to repent and believe. The sealing occurs AFTER that we believe, and we can read in Acts 5:32 that the Holy Spirit is given to all those who OBEY him, so belief and obedience must come before we get the Holy Spirit. We can also read that God works all things after the counsel of his own will. Does this will exclude the possibility that he might want to place conditions for salvation on us? No of course not, because God can do anything he wants and it’s clear that he require US to repent, believe and show good fruit. He is not going to do this for us. The mystery of his will is that he will one day gather all believers together and give them the inheritance – those who are IN CHRIST! And we can read that TRUST plays an important role in order to be one of the elect. God is not ”trusting” for us. WE are supposed to trust in him and we can read that Paul says that trust comes AFTER hearing about the gospel of our salvation. Eph. 1:9 Having made known unto us the mystery of his will, according to his good pleasure which he hath purposed in himself:10 That in the dispensation of the fulness of times he might gather together in one all things in Christ, both which are in heaven, and which are on earth; even in him:11 In whom also we have obtained an inheritance, being predestinated according to the purpose of him who worketh all things after the counsel of his own will:12 That we should be to the praise of his glory, who first TRUSTED in Christ.13 In whom ye also TRUSTED, after that ye heard the word of truth, the gospel of your salvation: in whom also after that ye BELIEVED, ye were sealed with that holy Spirit of promise,14 Which is the earnest of our inheritance until the redemption of the purchased possession, unto the praise of his glory. Paul prayed a lot for the Ephesians, indicating that we can absolutely change the outcome of things with our prayers, and in this case Paul prayed for wisdom. Our prayers can influence others to be enlightened and to know what the HOPE is for God’s calling. We can read once again that it’s the SAINTS who get the benefit of the inheritance. We can also read that the CHURCH, which is the body of Christ will ultimately and once for all be under his feet. This is what the beginning of Ephesians is all about. HIS CHURCH – THE BODY OF CHRIST, consisting of BELIEVING SAINTS. Eph. 1:16 Cease not to give thanks for you, making mention of you in my prayers;17 That the God of our Lord Jesus Christ, the Father of glory, may give unto you the spirit of wisdom and revelation in the knowledge of him:18 The eyes of your understanding being enlightened; that ye may know what is the HOPE of his calling, and what the riches of the glory of his inheritance in the SAINTS,19 And what is the exceeding greatness of his power to us-ward WHO BELIEVE, according to the working of his mighty power,20 Which he wrought in Christ, when he raised him from the dead, and set him at his own right hand in the heavenly places,21 Far above all principality, and power, and might, and dominion, and every name that is named, not only in this world, but also in that which is to come:22 And hath put all things under his feet, and gave him to be the head over all things to the CHURCH,23 Which is his BODY, the fulness of him that filleth all in all. Ephesians 2 starts with Paul telling us that God has quickened us who were dead in trespasses and sins. I can only say that it’s a very bad choice to be dead in trespasses and sins! When are we spiritually DEAD according to the Bible? 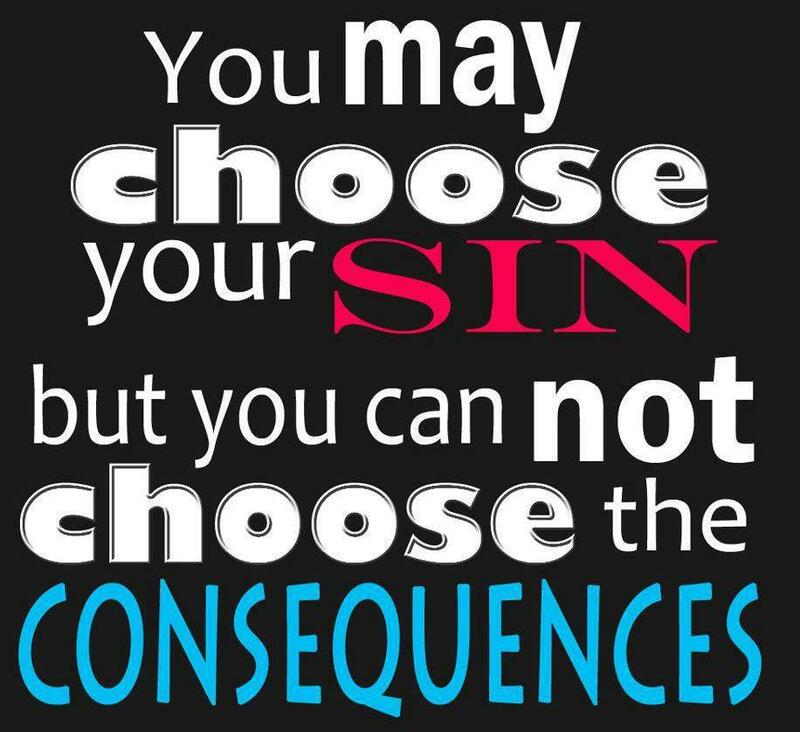 That is when we SIN because this separates us from our holy God. Luke 15:(The prodigal son) 30 But as soon as this thy son was come, which hath devoured thy living with harlots, thou hast killed for him the fatted calf.—32 It was meet that we should make merry, and be glad: for this thy brother was DEAD, and is alive AGAIN; and was LOST, and is found. So don’t get confused about the expression ”children of wrath” because the description fits only grown ups , and we can be labelled either children of God or children of Satan depending on our life styles. We can also read that the ”children of wrath” are also called ”children of disobedience” so it’s clear that in order to fit the bill you must be able to DISOBEY – something that babies cannot do. Does God want people to disobey him? Clearly not! Evidently Eph. 2 doesn’t suggest we are BORN as children of wrath, but it provides details for how we can BECOME children of wrath by the way we live. Even the Ephesians WERE dead due to their choice to sin, but thanks to the blood of Jesus, and through their own repentance of their sins, they were restored. Paul says ”hath raised us up together”, but that is a picture of our future with Christ, because he continues the sentence with ”in the ages to COME”. We haven’t been elevated yet. Eph. 2:1 And you hath he quickened, who were dead in trespasses and sins;2 Wherein in time past ye walked according to the course of this world, according to the prince of the power of the air, the spirit that now worketh in the children of DISOBEDIENCE3 Among whom also we all had our conversation in times past in the lusts of our flesh, fulfilling the desires of the flesh and of the mind; and were by nature the children of wrath, even as others.4 But God, who is rich in mercy, for his great love wherewith he loved us,5 Even when we WERE dead in sins, hath quickened us together with Christ, (by grace ye are saved;)6 And hath raised us up together, and made us sit together in heavenly places in Christ Jesus:7 That in the ages to come he might shew the exceeding riches of his grace in his kindness toward us through Christ Jesus. And don’t get confused just because it says ”by nature”, because 1) it still doesn’t indicate we are BORN that way, 2) we can see below in Rom 2:14 that people can by nature do the things contained in the law, and 3) those who by nature are the children of wrath are those who have made a habit out of sinning and hardened their hearts. (Read more in Romans 1 about how certain men hardened their hearts to the extent that God eventually gave them over to a reprobate mind.) A diligent alcoholic might feel that it’s totally natural for him to get drunk once in a while, and in combination with a refusal to repent his habits might turn him over to become a child of wrath/disobedience. Now we have arrived to the famous verses which are likely the most cited verses in the entire Bible. These couple of verses are often used as an attempt to show that we can be saved even if we don’t show any fruit, and even if we SIN. That’s not what the verses are saying though.The gift of God in these sentences is NOT ”faith” but that we can be saved. You can read more why the Greek original text makes this clear here. We are either saved by the law OR by grace, and most of us can agree on that we haven’t chosen to obey the law to 100% so the only other option is GRACE (God’s mercy). To suddenly start to make good deeds will never cover for our PAST sins. It’s thanks to the blood of Jesus that we can be cleansed and saved. So does Eph. 2:8-9 suggest that it’s no longer damaging for our souls if we would sin and/or not provide any work? NO! It does not say that! It only informs us that salvation is by grace through FAITH. Nothing we do or believe can ever MERIT salvation, but there are still conditions. We must repent for our sins and believe. Breaking the moral law (the ten commandments) are just as important today as it was during the time of Moses, and as it was during the time of Cain and Abel. Sins always separate us from God whether we live in the old or new testament. Faith without works is dead, and works without faith is also dead. Eph. 2:8 For by grace are ye saved THROUGH FAITH; and that not of yourselves: IT is the gift of God: 9 Not of works, lest any man should boast. Verse 10 is not nearly as popular and it’s rarely cited. This verse tells us that we are supposed to WALK unto good works. Do you believe that God will accept us the way we are even if we would NOT walk with him and show good works? Hardly! So this is a warning towards christians. Neither will God do the walking for us, because WE are created to do the walking. However, we can do nothing without Jesus so we have to be IN HIM. Eph. 2:10 For we are his workmanship, created in Christ Jesus unto good works, which God hath before ordained that we should walk in them.11 Wherefore remember, that ye being in time past Gentiles in the flesh, who are called Uncircumcision by that which is called the Circumcision in the flesh made by hands12 That at that time ye were without Christ, being aliens from the commonwealth of Israel, and strangers from the covenants of promise, having no hope, and without God in the world:13 But now in Christ Jesus ye who sometimes were far off are made nigh by the blood of Christ. Paul continues to talk about the good news and what we can accomplish THROUGH Jesus, whether we are jews or gentiles – as long as we are believers. 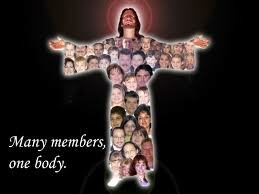 We are united together in one body through the power of the cross. Once again, Ephesians is about the Church and the body of Christ as in God’s family. Are you in or are you out? You decide and you know the conditions. Eph. 2:14 For he is our peace, who hath made both one, and hath broken down the middle wall of partition between us;15 Having abolished in his flesh the enmity, even the law of commandments contained in ordinances; for to make in himself of twain one new man, so making peace;16 And that he might reconcile both unto God in ONE BODY by the cross, having slain the enmity thereby:17 And came and preached peace to you which were afar off, and to them that were nigh.18 For through him we both have access by one Spirit unto the Father.19 Now therefore ye are no more strangers and foreigners, but fellowcitizens with the saints, and of the household of God;20 And are built upon the foundation of the apostles and prophets, Jesus Christ himself being the chief corner stone;21 In whom all the building fitly framed together groweth unto an holy temple in the Lord:22 In whom ye also are builded together for an habitation of God through the Spirit. Keep the parable in Matthew 22 in mind where we can read ”many are called but few are chosen”. The ”chosen” ones are those who freely accepted to go to the party, and who also went. As opposed to others who were on the guest list and expected to come by the King himself, but who still declined to go. We can place ourselves among the chosen elect if we choose GOD and show it by our actions. Only in union with Christ do we become members of the elect, and God purposed from the creation of the world to form a people through Christ’s redemptive death on the cross. So election is grounded in Christ’s sacrificial death to save us from our sins (and we are only cleansed upon repentance), and election in Christ is primarily corporate (an election of a people). Therefore, election includes individual persons only as they associate themselves with the body of Christ, and there was a similar story for Israel, and those who identified themselves as the children of Abraham by having faith (leading to obedience) just like Abraham. The election to salvation and holiness of the body of Christ is always certain, but the certainty of election for individuals remains conditional on their personal living faith in Jesus Christ and perseverance in union with Him. God’s eternal purpose for the church is that we should be holy and without blame before him, and this refers both to forgiveness of sins and to the church’s purity as the bride of Christ. Fulfillment of this purpose for the corporate church is certain, but the fulfillment of this purpose for individuals is conditional. Christ will ”present you holy and unblameable and unreprovable in his sight: IF ye continue in the faith grounded and settled, and be not moved away from the hope of the gospel”. At the point of faith, the believer is incorporated into Christ’s elect body by the Holy Spirit and thereby becoming one of the elect. Predestination concerns what will happen to God’s people (all genuine believers in Christ). So the church (of christians) is chosen by God to be his very own vessel, and all who desire to be a part of this elect vessel can do so through a living faith in Christ. As long as they are on the vessel they are among the elect, but if they choose to abandon the vessel, they cease to be part of the elect. because election is always only in union with the captain and his ship. Predestination tells us about the ship’s destination and what God has prepared for those remaining on it. God invites everyone to come aboard the elect ship through faith in Jesus Christ.